As the number of VMware solutions to run your data center increases, it has become difficult and somewhat confusing to make sense of the many components involved and the interoperability between them all. 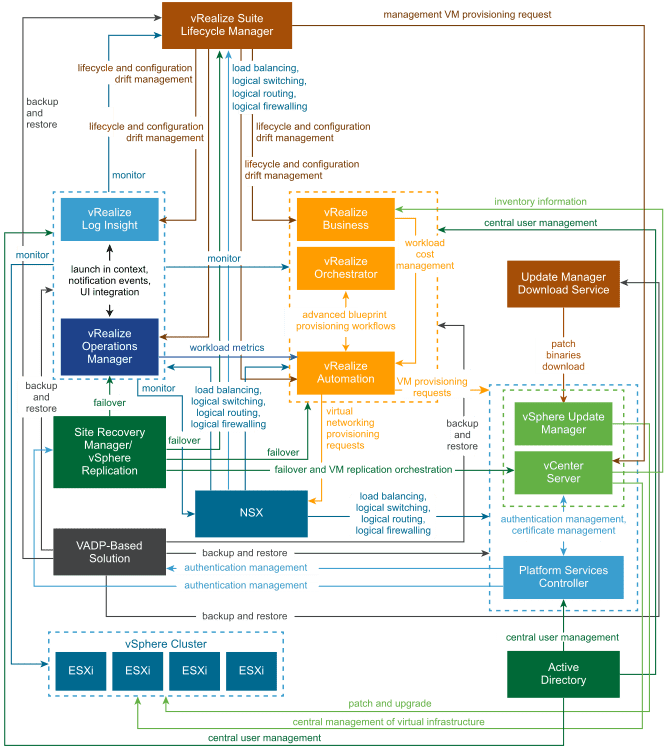 VMware Validated Design is a collection of documents provided by VMware to help you plan, deploy, and configure your Software-Defined Data Center (SDDC) the right way. 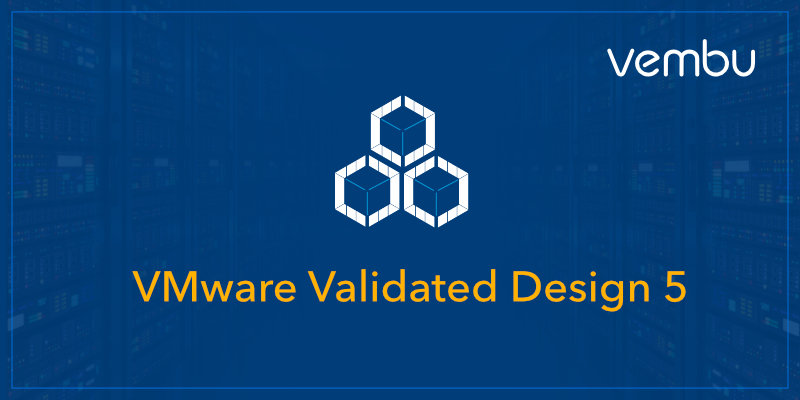 The validated designs encompass a large array of VMware products in order to offer a holistic view of the SDDC that will serve as a template for Greenfield and Brownfield environments. 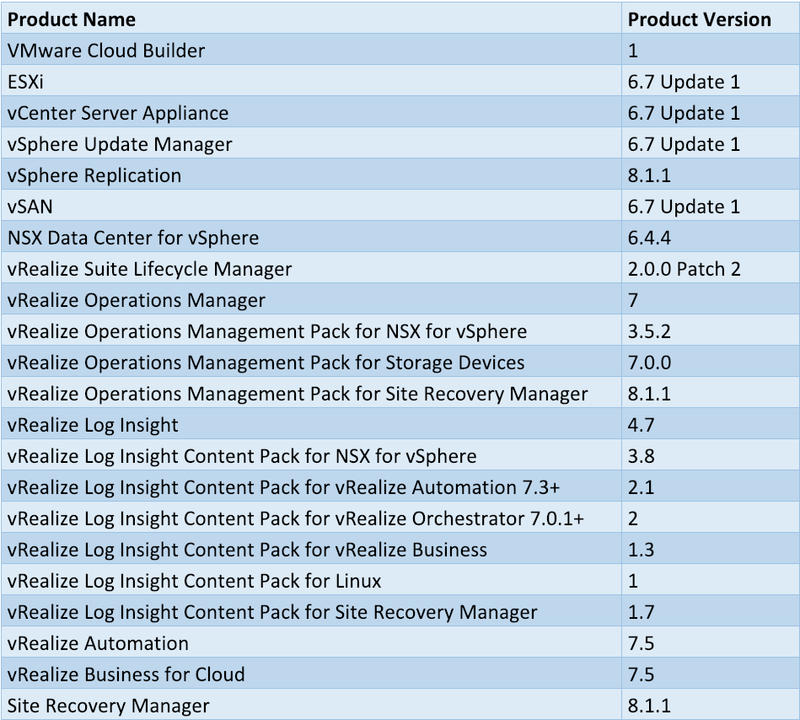 All the validated designs have been tested by VMware to ensure that all the components involved are compatible and optimized for best performances. Only targeted at primary data centers which architecture can be single or dual region. You can use this implementation as a base for additional implementations such as VMware Validated Design for Remote Office and Branch Office below. This implementation comes on top of the standard implementation for environments spread out geographically while keeping a central management. The standard implementation must be in place in your SDDC before starting with this one. This option offers solutions for single region data-centers where everything runs in one single pod. As its name suggests, consolidation is the key point in this implementation which will likely fit small and start-up organizations with lower budget and hardware footprint. VMware’s quest to have all of its customers running a supported, secure and well-designed SDDC has been one of the main focuses over the last few years and paying off. With the release of the new Cloud Builder solution which includes VMware’s know-how, it has never been so easy to create the perfect SDDC and ensure product/version compatibility. Whether you are an experienced infrastructure engineer or starting with the VMware ecosystem, the validated designs are a great source of information and will certainly teach you something, even to the best informed.